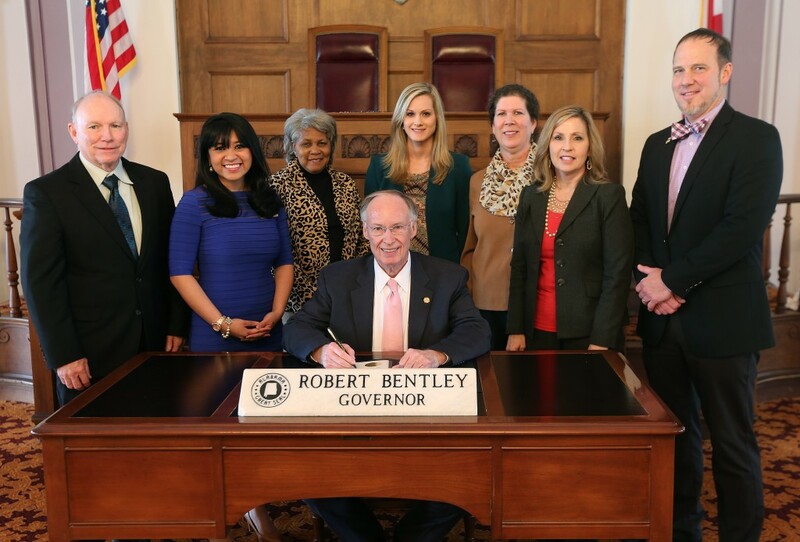 February 5, 2016—This is the year for Alabama to Get Moving!, says Governor Robert Bentley and the Alabama Obesity Task Force. The designation was made official at a proclamation ceremony on January 27 at the State Capitol and a Summit gathering leaders and concerned citizens from across the state and the nation comes close on its heels later this month. The “Get Moving Alabama Physical Activity Summit” on Friday, February 26 from 8:30 am-4:30 pm at the First United Methodist Church of Alabaster- Restore Building, will kick off the Get Moving Alabama yearlong campaign to educate and motivate Alabamians from all walks of life to get moving and get fit. Alabama has the fifth highest rate of adult obesity in the nation, the fourth highest rate of diabetes, and the second highest rate of hypertension. Increasing physical activity can help residents achieve a healthy weight, reduce the risk of chronic diseases – such as cardiovascular disease and cancer – improve mental health, increase productivity and brain function, and increase longevity. The Alabama Obesity Task Force is a volunteer member-based organization of over 200 individuals whose purpose is to work through collaboration, programs, policy and environmental changes to support and promote healthy lifestyles.